Jill Scoltock, who retired as Atlantic Business Centre Manager on Friday looks back fondly at her seven years with Bizspace. We’re sorry to say goodbye to our Atlantic Business Centre Manager, Jill Scoltock, who left us on Friday to embark on a well-deserved retirement. 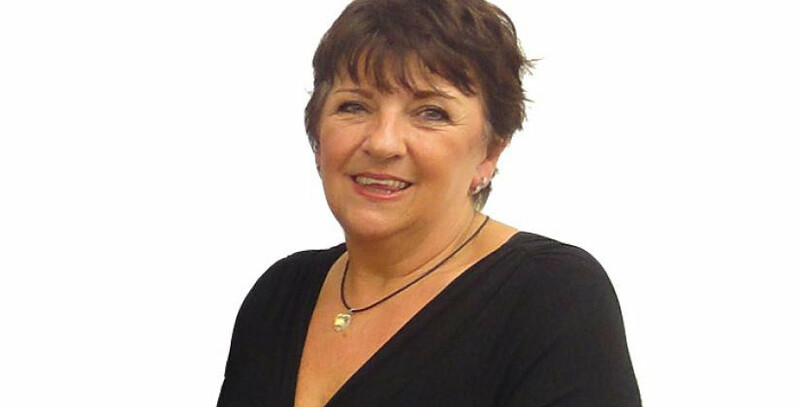 Jill joined the Bizspace team in February 2007, making her one of our longer serving managers. Jill’s track record was flawless, having previously run another Cheshire business centre for 16 years with 100% occupancy, 100% of the time. Jill remembers: “When I first started at the Atlantic Business Centre the occupancy was around 57% and the site needed improving considerably. It was an enormous task, but all the hard work is now reflected in the centre being referred to as a premier Bizspace site. It has been a busy and productive time under Jill’s seven-year stint as a Bizspace Business Centre Manager, with many happy memories. However, one day in particular stands out for Jill as being very special. “It’s easy to choose my most memorable day at Bizspace because it also happens to be my birthday. On 19 May 2011, I had a day off work for my birthday and also my first blind date with Ian, who is now my partner. We went shoe shopping to my favourite shop, Shoetique in Hale. “Shoetique moved into a 1,400 square foot unit in our centre that year, then later upgraded to a workplace more than double the size, and they now have a business space of 5,500 square feet and are my biggest customer to date. After a successful career, Jill is now looking forward to embracing retirement. Now, Jill and her soon-to-be-retired partner, Ian, plan to spend their time on home renovations but before that, are celebrating stepping down from work with a New Year’s Eve trip to Bruges. Jill has been a keen horse rider since she was seven years old and will also have more time to look after her ex-race horse thoroughbred named Get Up and Go Go. We wish Jill all the very best! We now welcome Shelley O’Reilly as Atlantic Business Centre Manager, who previously worked at the Bold Business Centre in St Helens. If you're interested in space at Altrincham, please contact Shelley by email or phone on 0161 926 3600.